Creativity determines the way a child’s mind functions. The limitless imagination of children makes them believe in the existence of Santa Claus. On the other hand, adults have only a distant memory of themselves being kids. However, even now you may return to the childhood and compose a letter to Santa in order to boost the power of imagination and children creativity. You will improve problem-solving skills. Children are better in problem-solving than adults due to their unique vision of problems and ability to come up with unexpected solutions. Writing down your dreams will contribute to achieving them. 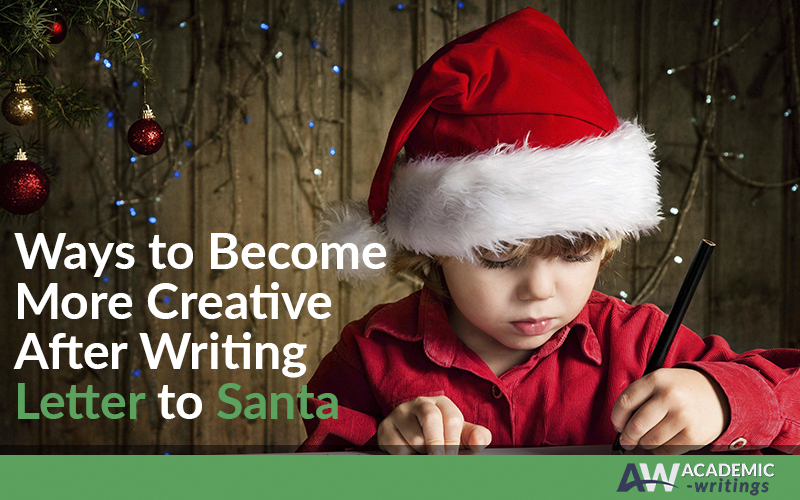 When writing a letter to Santa, you will visualize your goals more clearly that will help you to start making them true. You will think more creatively when handwriting your letter rather than typing it. Many scientific researches prove a positive connection between brain activity and handwriting. When handwriting, a person is able to use imagination and produce more creative ideas. When writing your letter to Santa, use simple words to describe your problem, just as a child would do. Do not forget to ask Santa for a particular solution of your problem. When your letter is ready, you may even go further and send it. Find Grown-up Letters to Santa website and post your letter. It will allow others to see your writing, comment it and offer useful pieces of advice.